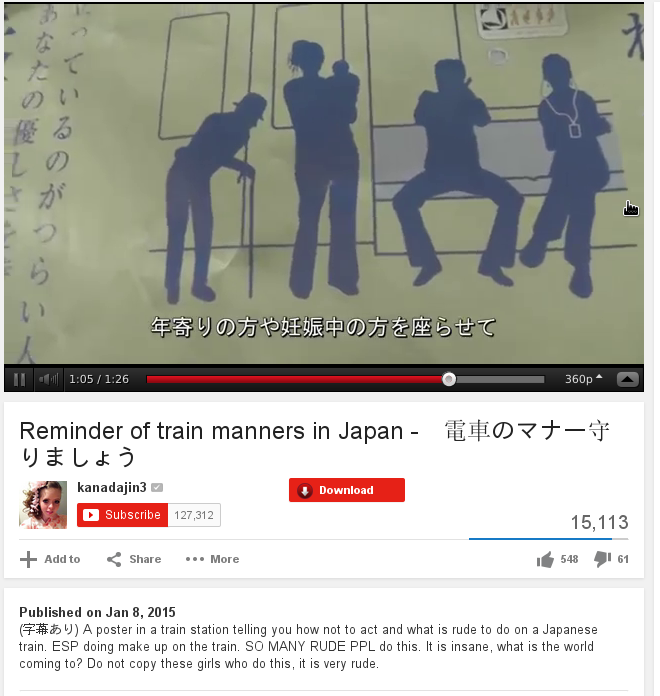 Train Manners World Tour Continued – Japan. 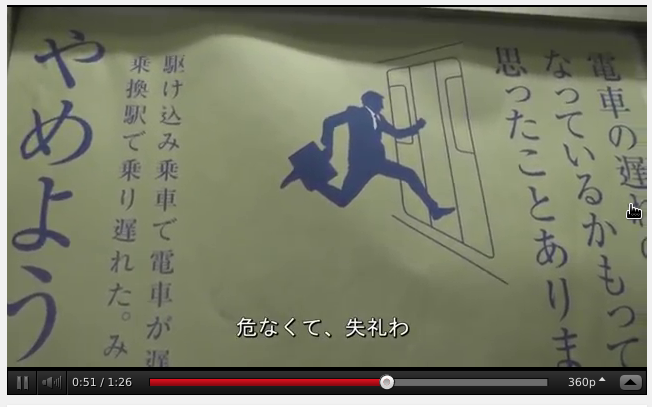 Train manners can also be a subject of controversy in Japan. 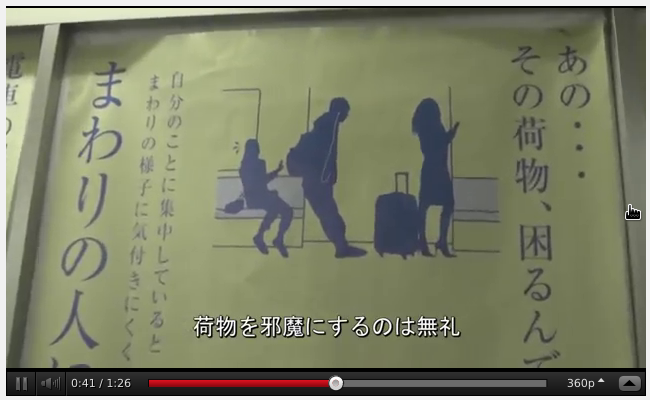 Kanadjin3 recently uploaded a video showing the new public information signs for proper train manners in Japan. 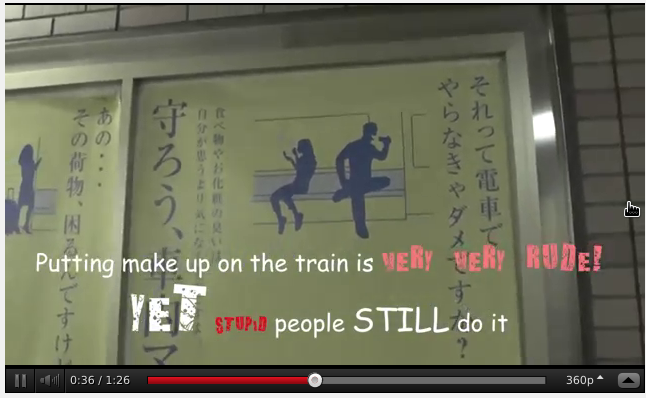 But they also point out that applying make-up on the train is also very rude. Don’t apply make-up, possibly more manspreading. Arwa Mahdawi has published a joke story on the guardian about the phenomenon of ‘manslamming’ in New York. You can tell it’s a joke because they conflate experiment with anecdote. Is manslamming a true phenomena? It seems reasonable if manspreading is real. Manspreading sounds like something more testable. It is easy to imagine that collisions on the street are a result of both parties, so it seems more difficult to design an experiment — maybe mass observation would be the way to test this claim.